Our local real estate market will begin to pick up steam now that the Christmas/Winter holidays are officially behind us. Honestly, with the warm winter we have been having, I won’t be surprised if we get daffodils in February. All of this has me thinking about the people who are reading this blog and planning to sell their home in the coming spring or summer. 1. Make sure that no plants or trees are actually touching your house. The rule of thumb is 6 inches. Nothing growing in your yard should be closer than 6 inches to any part of your house. 2. Clean the gutters. This is particularly important is the rainiest part of an Oregon year is still ahead of us. Clogged gutters will lead to water in a crawl space, which is a huge red flag for a home inspector. When water is found in a crawlspace it really freaks people out. The imagination can lead to visions of trenches and sump pumps and $$$. Keep your life less dramatic and clean your gutters. 3. Replace or clean dirty furnace filters. Not only will this help the inspection to go well, but it will extend the life of your furnace and allow you to enjoy better air quality. 4. 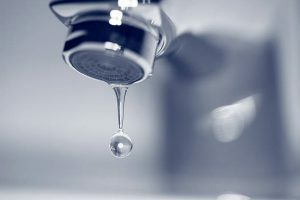 Repair leaky faucets. You know they are annoying you. Just do it, they annoy home inspectors as well. 5. Replace missing electrical covers on switches, outlets, and junction boxes. 6. Replace any smoke alarms that were installed prior to 2002 with alarms that meet today’s requirements. Along with smoke alarms, be sure to install carbon monoxide alarms if you have a fireplace or gas appliance in the house. 7. Replace burnt out light bulbs. 8. Pull soil 6” away from the siding, basement windows, foundation vents and decks. 9. Install 6 mil. black vapor barrier over exposed soil in the crawlspace. 10. 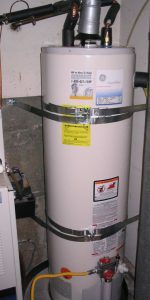 Install earthquake straps on your water heater. None of these items are very expensive. You may even be able to do a good many of them yourself. In addition, if your prospective buyer is getting a mortgage, and most of them will be, items 6, 9, and 10 will be a requirement for financing. I hope you find this helpful. I also know that a good first step in the house selling process is getting a professional price opinion. Both Linda and I are happy to do this for you, at no charge. Please give us a call!